Oovee has launched a new Kickstarter campaign this week for their innovative off -road challenge game called Spintires, which has been created to provide a different approach to the driving game genre. Spintires is an Intel award winning off-road driving experience designed to challenge the player’s skill and endurance lets you take the wheel of monster vehicles and drive them through the harshest terrines imaginable. Watch the video after the jump to see it in action. 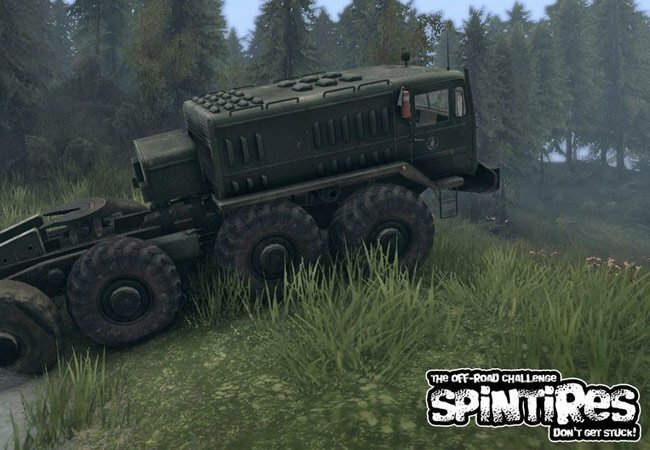 You can also download a demo of Spintires from the Kickstarter webpage, to give the game a blast yourself before backing it. So afterwards if you think Spintires is something you could benefit from, visit the Kickstarter website to make a pledge and help Spintires become a reality.